EveryMatrix is pleased to announce the recent signing of a new partnership with Betting Promotion. The newly inked agreement supports Betting Promotion’s expansion of its current sportsbook platform live offering with EveryMatrix’s proprietary sports data feeds. “Our aim is to stay ahead of the curve and ensure that our sportsbook is equipped to yield maximum results. 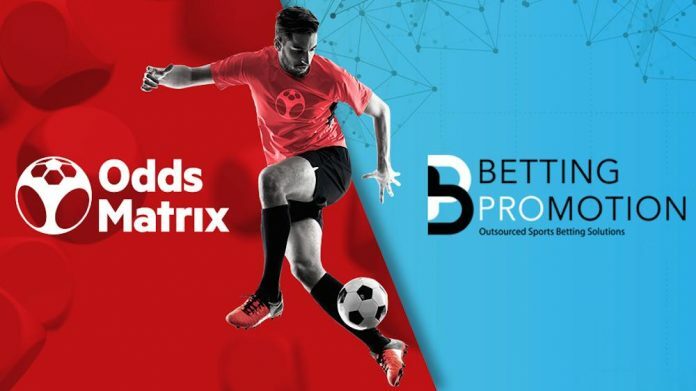 In order to expand our live offering even more we have now entered a partnership with OddsMatrix which will help us increase the number of live events and markets for soccer and basketball.” said Betting Promotion Chief Operating Officer Robert Wintersteller. Powered by EveryMatrix, OddsMatrix Sports Data Feed is the complete and time-tested solution for delivering betting odds, scores, and real-time settlement, with over 35,000 events at peak, covering all major sports and esports events. “The OddsMatrix Data Feeds are highly flexible and can be easily integrated with existing data feeds to help both bookmakers and providers diversify their offering. We are glad to be Betting Promotion’s choice for data feeds as they are a successful B2B sports betting company and help them experience accelerated growth.” commented EveryMatrix CEO Ebbe Groes. Currently, OddsMatrix offers one of the richest feeds in the industry combining both pre-live and live sports data in more than 60,000 events per month. Operators can enjoy secure, fast and accurate data with more 2,000+ betting markets and 85+ sports and esports disciplines. From the time-tested Sports Data Feeds to Feed Aggregator and Fully Managed Sportsbook Solution, OddsMatrix Betting Solutions covers everything you need for a top-notch sports betting business.